I'll just say it: this session was kind of a dream for me. Those who know me know how much I adore books. OK, honestly, it goes a bit beyond adoration and may be closer to a borderline obsession. I collect, devour, read, sniff, re-read, and even have taken classes to learn how to binding my own books. I constantly dread moving because, though I have very little furniture, my book collection is not small. Or lightweight.. So (I swear I have a point here)…. 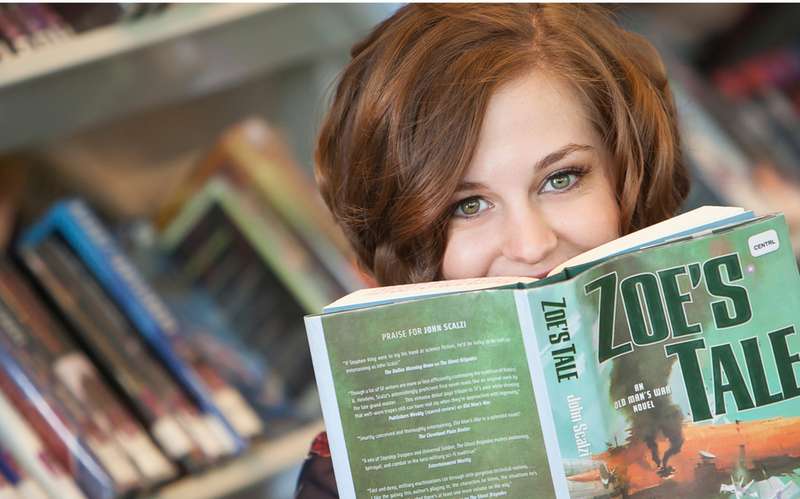 the opportunity to photograph a young writer who loves books enough that she requested her senior portrait session location inside the library had me kind of beside myself with joy in anticipation of her session. And so it is that I knew I adored her from the moment I met Zoe... Lovely, intelligent, sweet and GORGEOUS Zoe..
Zoe’s senior session had a unique and quietly confident kind of magic. First of all, she’s stunningly beautiful -- inside and out. There's a deep and fully present quality of her vibrant green eyes that took my breath away over and over throughout the session. Then fold in that giant crooked smile, adorably quirky personality and perfectly fitting wardrobe… we’re talking about a photographer’s dream high school senior portrait session! Photographing inside the Denver Public Library was creatively satisfying on multiple levels (and yes, old book smell counts as at least one of them). Working with light, using the colors, shapes and textures of books as compositional elements, exploring the different parts of the library -- warm old wood, card catalogs, books of every size and age. When, at one point, I asked her to grab a book, Zoe’s eye fell on what seemed to be the nearest one, and without skipping a beat, she nonchalantly pulled this book out as if she had conjured that very title with her mind. I watch this happen over and over just at the point that a level of unguarded relaxation washes over my client (at this point we know we’ve already captured amazing images, so there’s zero pressure in this space), and I can capture a new side of people in this space. Those “afterthought” photos often become my favorite photos of the day. Thanks also to Ashleigh Franke, Beauty by Ashleigh, for her always beautiful hair and makeup artistry! I’m a Denver based high school senior portrait photographer specializing in bringing out connection, personality in the EYES by giving my clients more than just senior pictures for their yearbook. I create an immersive and empowering experience, custom tailored around YOUR personality, passions and interests. 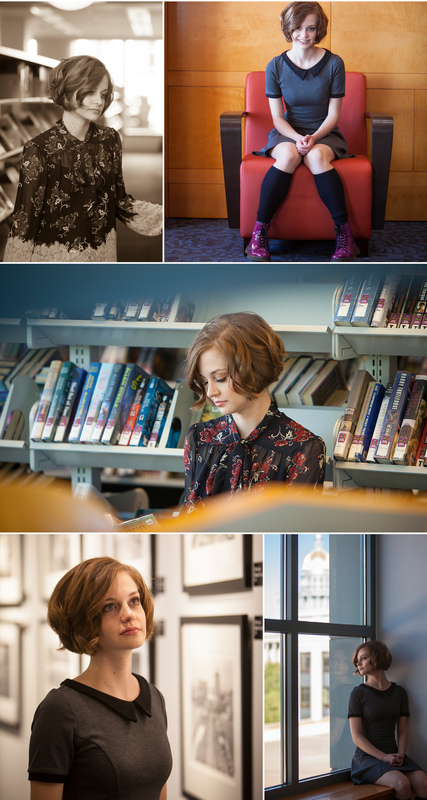 I would love to chat with you about designing a high school senior photo shoot for you!